DJ FREAKADELIK !! The Man with 1000 ears & tastes !!!! 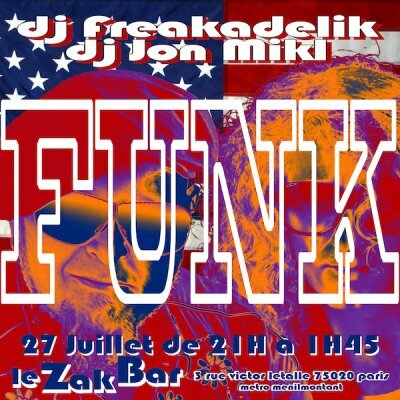 & DJ JON MiKL !! 2000 % DYNAMITE !!! IN A SPECIAL SELECTION & VIBRATION OF "SOUL, FUNK, ROCK STEADY & DISCO VIBES !!! !